Get Your Copy Today and transform frustration, fear, indecision, anger and anxiety into...CALM, CONFIDENT SELF-LEADERSHIP. ​Harness your greatest fears & weaknesses. IS A GROWING MOVEMENT IN THE WORLD, AS IT DEVELOPS MENTAL RESILIENCE, TO FACE THE CHALLENGES OF OUR PROFESSIONAL AND PERSONAL LIFE. 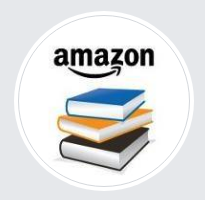 > GET YOUR BOOK ON AMAZON NOW & BEGIN TO 'TAKE CHARGE ' ! ​but on the inside you often feel frustrated, angry and anxious, overwhelmed by life’s relentless onslaught of details, problems, alternatives and considerations... You try to manage everything but the gnawing tightness in your stomach builds, you feel paralyzed by indecision and the feeling of being overwhelmed, a prisoner of your own life. This feeling of ‘being stuck’ can cause havoc in our personal and professional life. The question is: Have you had enough yet? Are you ready to gain clarity, understand what’s important to you and to make the right decisions-the ones that will lead you to real success and happiness, to unleash the best version of you? If so, then you are at the right place, at the right time to TAKE CHARGE of your career, your life and most importantly, Yourself. The answer has always been one - Self-Leadership. 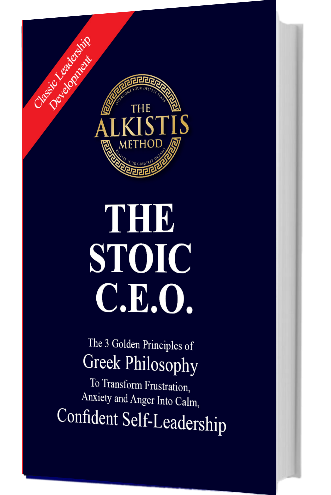 ​"Hello, I am Dr. Alkistis Agio, leadership trainer and philosopher. For over 15 years now, I have been coaching and training young CEOs and entrepreneurs to transform frustration, fear and anger into calm, confident self-leadership. These individuals or their employers have paid me and my team thousands of dollars so that they could access exactly the same information and exercises that you will have, when you get my book, and get started! "